The privatization of health care services: an abdication of public trust? So the Province of New Brunswick has gone ahead with its plan to privatize nursing home-care and tele-care management services, quietly rushing to sign a deal with Medavie over the weekend. Medavie is already managing the province’s ambulance services. The new services are meant to dovetail into Medavie’s ambulance services to deliver more efficiency to the province. To be perfectly clear this is not an exclusively Liberal deal. The former Conservative government put the idea on the table in 2013. Four years later the Libs have delivered the goods. Coincidentally (and these things are always coincidental), the new Medavie CEO is Bernard Lord, former Conservative premier of New Brunswick (1999–2006), who is in a very good position to know how the levers of government work. Not everyone is happy with the deal. There have been public protests throughout the decision-making process, nurses and health care unions are decidedly against the deal. 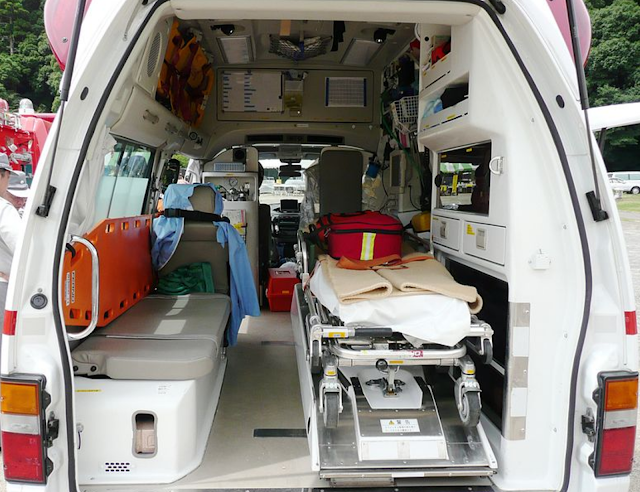 One of the reasons for union opposition is the plan to have ambulance paramedics do double-duty: while waiting between calls, they’ll now be expected to drop in on home-care patients. The idea is to improve efficiencies, both financial and physical. The unions aren’t convinced. And neither are vocal members of the public. And neither, apparently, is Conservative leader Blain Higgs, who pointed out in the Legislature that: “People are waiting for ambulances that are sitting empty because there are no people to staff them. ANB [Medavie-managed Ambulance New Brunswick] is refusing to give information to the standing committee because it is the intellectual property of that company. How is it that the Premier cannot understand the concerns of New Brunswickers when their health care becomes the intellectual property of a private company?” I would ask, if Medavie can’t staff the ambulances is presently manages, how can it possibly provide double duty to home-care patients? Well, Medavie would have an answer to this. Even better management! Because Medavie won’t be actually delivering these new services. Just as it does with the ambulance contract, it will be taking over the management of these government-owned services. The 700 workers will still be employed by the government, with the same pay and benefits. Only 32 managers will move over to Medavie. Recently retired health minister Victor Boudreau acknowledged there wouldn’t be any savings realized from the change. So why are we doing this again? One wonders what’s really going on in Fredericton. Two years ago the province’s Chief Medical Officer, Dr. Eilish Cleary turned in a major report on the health effects of the herbicide glyphosate sprayed on New Brunswick’s forests. She was fired by (Boudreau’s) Department of Health and paid $720,000, binding her to a confidentiality agreement. Glyphosate is an important part of protecting the province’s forest products industry—but at what cost? A cynical person might sense a pattern here: more than a few of New Brunswick’s politicians appear to be particularly business-friendly. Bernard Lord, for instance, was premier when Medavie started negotiating for the original ambulance management deal back in 2006. He joined Medavie’s board of directors in 2008. Now he’s Medavie’s CEO. So it all works out. To be fair, the province’s ambulance service was a mess prior to 2006. There were over 50 ambulance service contractors spread across the province. But it was the government that brought the system into focus, not Medavie. The government could just as easily set up its own management team. But one thing seems certain: Bernard Lord is probably making a lot more money at Medavie than he did in 2006 as the highest paid premier in Canada. So you have to ask yourself, what’s next for the current premier, Brian Gallant?